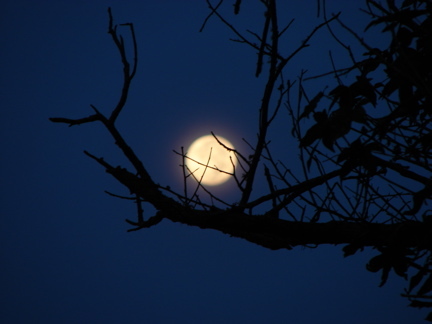 A sample of my photography...the moon (out of focus on purpose) setting early one morning last month after the closest pass to the earth this year. 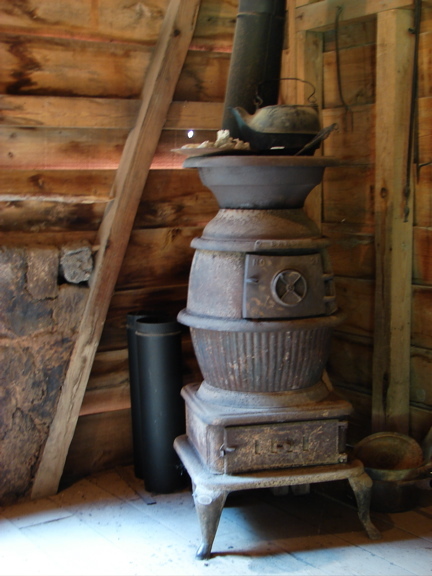 Pot belly stove at the Vermilionville village (historical village depicting early Cajun/Creole living style) near Lafayette. One of my recent photos...my neice Sarah who at the time of this photo was 7 months expecting with twin girls. Another of my recent photos...my neice Sarah who at the time of this photo was 7 months expecting with twin girls. This will pull up my page where you can view the photos thus far submitted to PhotoSIG. Here is a shot taken of Sarah and Ali in September. She was about 6 months pregnant for the twins. A second shot of Sarah and Ali. Sarah gave birth on the 25th (October) via c-section to twin girls. She was 8 weeks early and Mom and daughters are doing as good as can be expected. The twins will be in the hospital for some time...too small to come home. 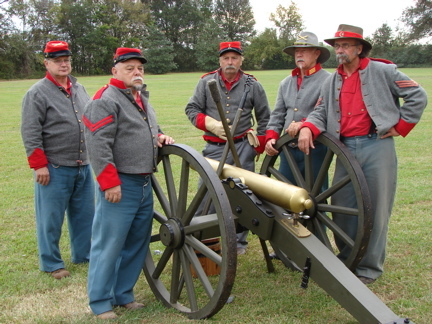 The mottly crew that I go to living history events with...we fire a rifled mountain gun (used late in the war that actually shot a projectial shaped a little like a modern morter round). This photo was taken last weekend were we went to get certified by the national association for black powder live round firing. Scarry stuff when they demonstrated the effects of what a charge of black powder can do if you are not careful. Recent flooding a few days ago from almost 3 days of continuous rainfall. 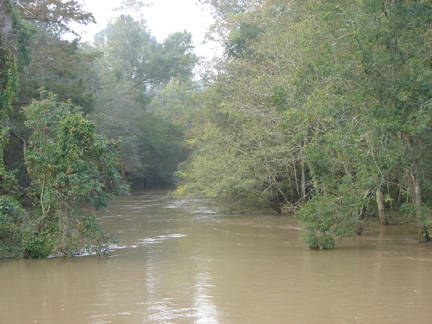 This the the bayou about a 1/4 mile away which is normally about 20 feet lower. In this photo it was at the level of the roadbed of the bridge I took the photo from. 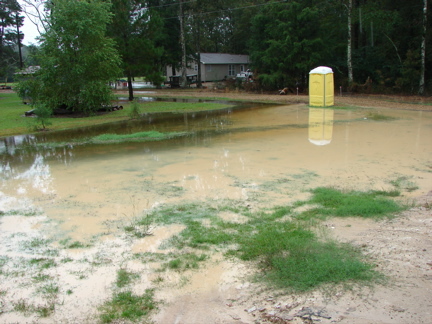 A view from my front porch of the backed up waters in my front yard (my driveway to the right). It took hours for the waters to subside. 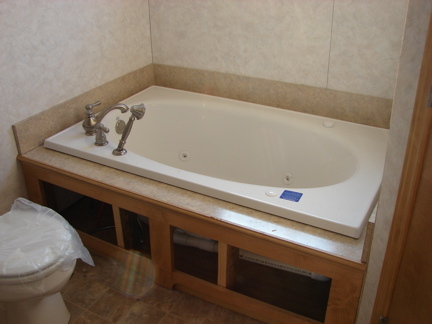 View inside of house of the newly installed tub that is in Sue's bath...with jets for her bad back. This was installed yesterday (10-19-06). The kitchen finally beginning to take shape. 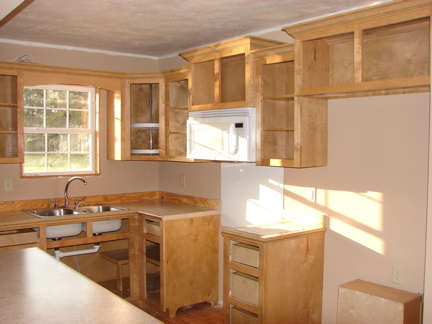 The cabinet maker does great work and is very much in demand. He is building us a couple of fireplace cabinets (corner style) to put in. We are installing two corner gas fireplaces. 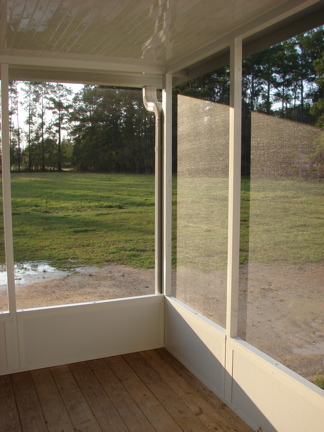 A view of Sue's screen porch completd yesterday. She has been wanting one of these for years. The contractor refused to build it and I had to sub-contract it. The contractor can be a real jerk. 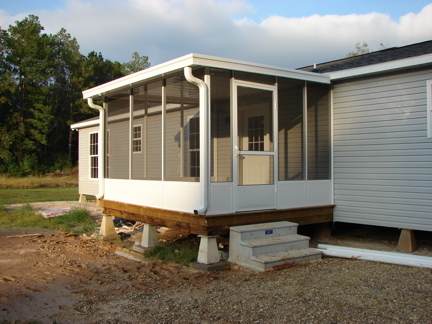 A second view of the screenporch from outside, showing the completed outside of the rear of the house. Below are a couple of links to my artwork site where I am displaying some of my artwork that I did to keep my mind off of the problems we were having in Kenner, until the house there was finally sold on the 18th of this month. ©2006 Joseph L. Richard. All rights reserved.